Inside the large box, ladened with scientific jargon, you’ll discover an incredible exfoliator, a truly fabulous product. I can’t start this review without mentioning the box, I do find it a bit silly, but I can’t stress enough how much of a wonderful product it is. On the back, it talks about engineering the formula with NIA-114™, “discovered in DNA skin cancer research to accelerate the rebuilding of skin layers” with no mention of how or why to be seen anywhere. It also features my pet-hate phrases such as younger and healthier looking skin. 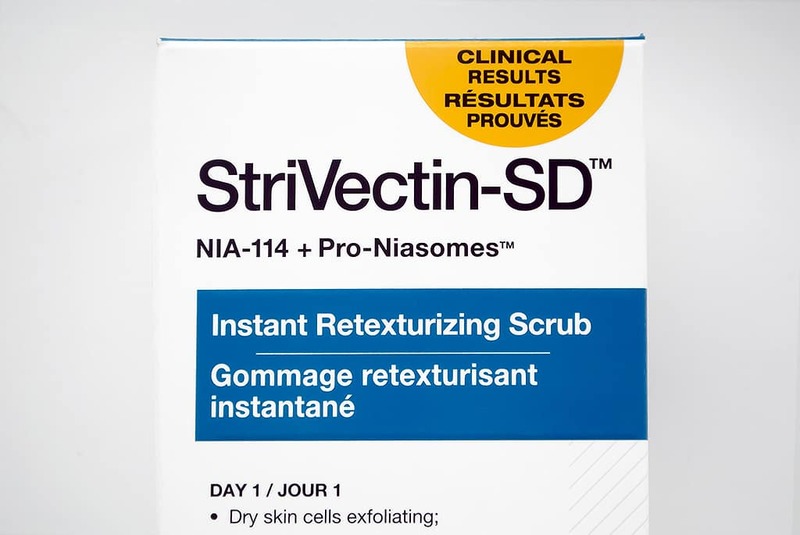 After a little research NIA-114™ is actually a vitamin B3 delivery system, this aids to boost the skin’s natural repair functions. The product is wonderfully stiff and firm, you really have to give the tube a good squeeze. There’s almost no scent (definitely non added artificially) which is great for those of you who are more sensitive. 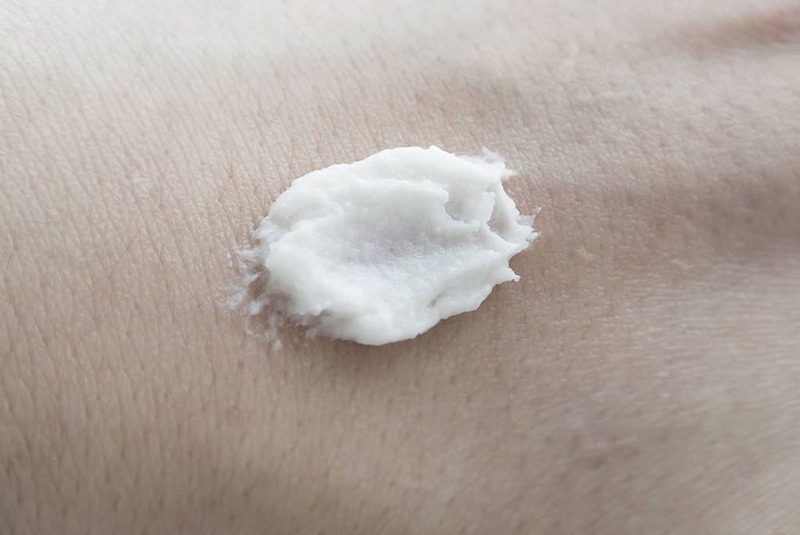 The exfoliating particles, jojoba beads, are very powerful in this but are softened by the thick cream base. I find this is best applied to damp skin, where you’ll discover how well it adheres giving you plenty of pliability and time to work. Rinsed off and dried off, you’ll inevitably notice how bright your complexion is, pores are noticeably unblocked and your skin is left feeling silky to the touch but importantly, calm and soothed. Now the majority of your barrier of surface dead skin cells have been removed, you’ll enjoy how easily your moisturiser of choice sinks in. A great manual exfoliator, powerful yet kind. You only need the tiniest amount so a 100ml tube will last for quite a while to say the least. Use twice weekly, morning or night although I recommend using it at night as it will enhance your skin’s ability to regenerate which occurs as you sleep. 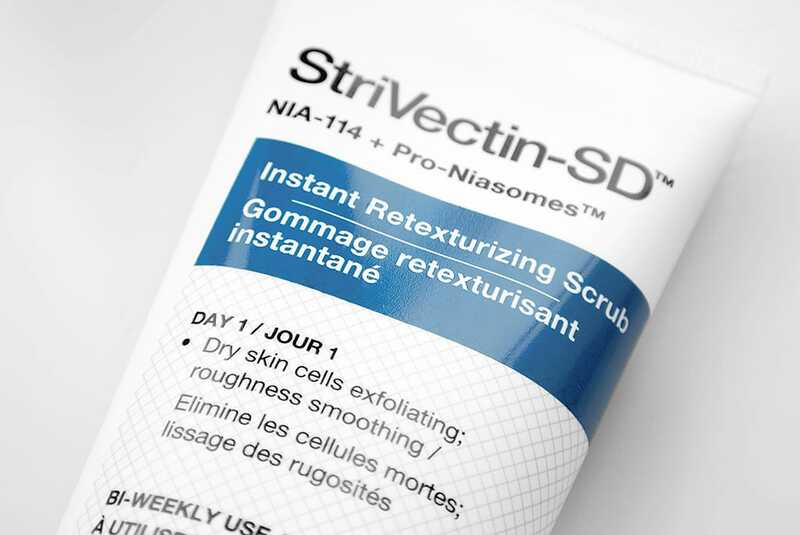 You can pick Strivectin-SD Instant Retexturizing Scrub up here at Space.NK. Use the trusty code, SNKHARR, at the checkout to get free delivery. This article first appeared on MANFACE written by Thom Watson. It was published on Friday 22nd February 2013 and was last updated on Monday 3rd April 2017 at 3:51pm. It's categorised under 4711, Enlarged / Blocked Pores, Exfoliate, Sensitive Skin where you'll find more related content.